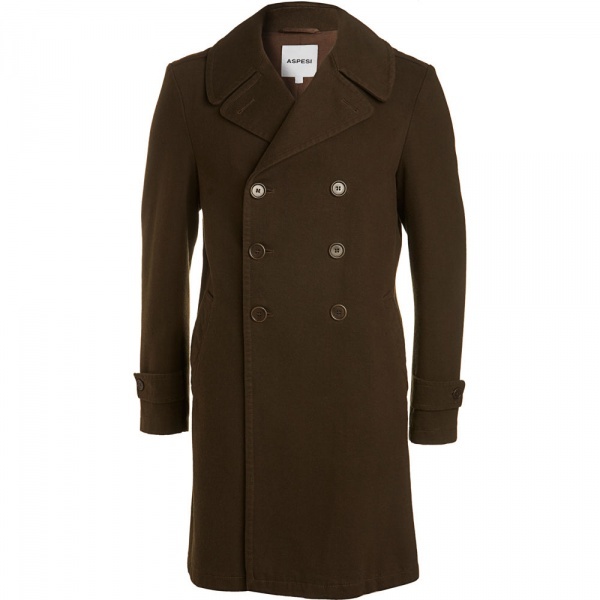 Aspesi produces this military style trench coat, a rich green colored topcoat perfect for the cold weather. 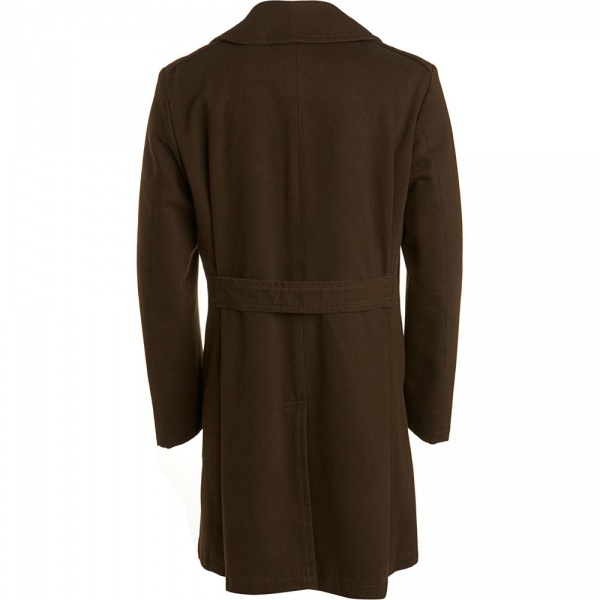 The reassuring weight of this Italian made wool-cotton blend coat is sure to keep the cold air out, while giving you a touch of that military style. Available online now. This entry was posted in Outerwear, Tops. Bookmark the permalink.